The Tree Council has achieved a great result with a partial victory- the damage that will be done to the bush has been minimised! After years of community outrage, an appeal and most recently mediation with Auckland Council, The Tree Council are very impressed with the outcome. Securing a considerable extension to the proposed bridge crossing the gully from 28 to 40m span. This means that the abutments supporting the road bed will now be located at the edges of the gully rather than within it and only a very small number of mature trees will be directly affected. The small gully in South Auckland called Grahams Bush known as is a botanical gem, a real taonga, a fragment of the lowland podocarp-broadleaf forest that once covered the Manukau lowlands has been saved! The Tree Council would like to thank all those who donated money to support their case, fellow appeal parties, the Cheesman family and Auckland Transport for being willing to negotiate a much better ecological outcome for Graham’s Bush. Stop your plans to bulldoze native bush and destroy the ecosystem of South Auckland in return for a horrendously expensive four-lane highway nobody wants! Stop the Mill Road/Redoubt Road monster express way! Keep the road on the existing road bed which avoids further destruction to bush and houses and streams - we are happy for you to improve it - not build a four lane highway alongside it instead! Stop the NOR process for this highway right now! Ratepayers feel they have no voice and you are ignoring their pleas. The appeals against this project (6) speak volumes, no one wants this road!! Enough is enough. If this project goes ahead this will be your legacy to the people of Auckland - and it is not a good one. 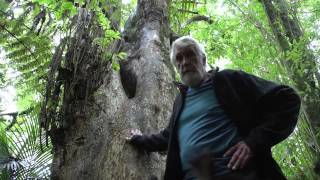 Individuals, like Graham, who have been protecting the bush for years (and were paid subsidies by city councils to do this) are now finding out that their land is to be forceably taken from them, and their precious bush destroyed. The proposed route will bisect the water catchment that feeds Totara Park. There is already evidence that existing roading has damaged gullies of native bush in the area - this proposal would have a much greater negative impact. Grahams Bush is one of many on the proposed highway route. It has a number of significant trees and it is a site of ecological importance. Graham unfortunately died trying to save this bush last year during this fight. We want to honour his legacy and are are tired of Auckland Transport saying this is the 'cheapest' route. We say it is the most expensive - ecologically expensive and ridiculously planned in a way that makes no sense in the 21st century. Sign our petition to send a message that says NO to the proposed route and YES to being heard. If you want to read some ideas on alternatives please visit the site of GenZero or Auckland Transport Bloggers - they have suggested some excellent alternatives to fix Auckland's Transport Problems and for a lot less cost! We need to Keep any areas of Bush Protected. Put in Rail Lines By the Roads to get Cars off the Roads. We are at 4,799 votes, who will make up the shortfall to get to 5,000? Please try your best to get some more signatures if at all possible. This is for a good cause, to keep us all sane and protect nature for us and future generations! We are busy preparing for the hearings and working with experts to give evidence on our behalf. At that time we want to present our petition and we really would like to get to 5,000 signatures or more... if you can help, please do - we would be very very grateful. We have been overawed with the support you have given us so far and really say 'thank you' !!! Please be sure to follow our facebook page to know what is happening and please keep spreading the news - all votes are welcome and needed! In case you were still wondering if this is a magical place... look again - this bush speaks volumes and is irreplaceble!! Please watch this link, it tells you why this bush must be saved in it's entirity, it is so special! We got to 2000 votes, thank you all very much, it is great - not quite enough but wonderful as a start. Now lets get serious and try and shake some action out of TVNZ or Campbell Live... please pass the petition on to your friends and relations, so we can get as many votes as possible! Graham when spoken to about how many people have signed this petition so far was really overwhelmed and touched. So many people who care and who want to help save my bush - thank you very much indeed! Please keep spreading the word! Centuries-old native trees may be forced to make way for a four-lane highway.